Henry Bordeaux (25 January 1870 – 29 March 1963) was a French writer and lawyer. Bordeaux came from a family of lawyers of Savoy. He was born in Thonon-les-Bains, Haute-Savoie. His grandfather was a magistrate and his father served on the Chambéry bar. During his early life, he relocated between Savoy and Paris and the tensions between provincial and city life influenced his writings. In his professional life he observed closely the dissolution of numerous families and analysed the causes and consequences of these. From the age of seventeen he spent three years in Paris studying law. Then he returned to practice law in Savoy. He returned to Paris after the publication of his first book during 1894. When his father died in 1896 he returned to Savoy. The writings of Bordeaux reflect the values of traditional provincial Catholic communities. One recurring theme is loyalty. Loyalty is pervasive, and it applies to family, country and God. This theme is particularly evidenced in the novels "La Peur de vivre" and "Les Roquevillard." 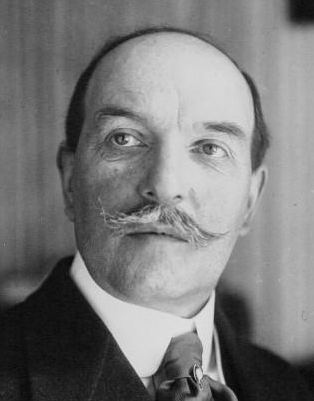 Bordeaux was elected to the Académie française on 22 May 1919. This elite group of writers, popularly known as the "immortals," are responsible for establishing and maintaining the grammar, usage and acceptance of vocabulary into standard French. He was a contributor to ''Le Visage de l'Italie'', a 1929 book about Italy prefaced by Benito Mussolini.